The sequel to Harper Lee’s American classic, Go Set a Watchman, is due out later this year. Along with the sequel, To Kill a Mockingbird and its writer have been regularly in the news since Go Set a Watchman was first announced. All this renewed interest in Lee’s story has left me fondly remembering my first encounter with the novel and my subsequent love of the film adaptation – one of the few film adaptations I love as much as the original novel. Like many school students, even today, I had to read the novel at high school. Also like many students, I read the handful of chapters we had specific tests on and skipped the rest of it (apologies to my teachers!). It wasn’t until I was in University studying philosophy, literature, and film where we looked at both the novel and the film that I sat down and read the novel through. I understood then that it was my loss for only having read it at 18. If only I’d bothered to read it earlier. While everyone else is looking back on the novel and what the ‘sequel’ may bring when published in July, I wanted to remember the story as told by director Robert Mulligan and screenwriter Horton Foote. The film was nominated for 8 Academy Awards, winning three, including a Best Actor award for Gregory Peck. 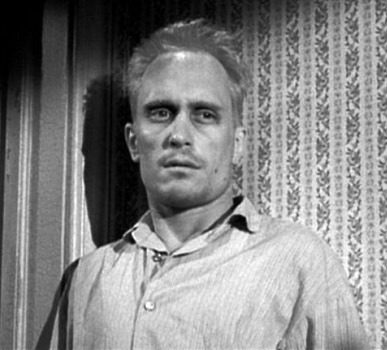 Not only did Peck often comment that To Kill a Mockingbird was his favourite film he’d been in, but others liked to note that he was really playing himself in the film. That Atticus Finch and Gregory Peck could have been one and the same. Hollywood has never been known for taking a lot of chances or pushing the boundaries when it comes to politically controversial topics (despite its ties to Communism and other left-wing political movements back in the day), so it still surprises me that To Kill a Mockingbird was made. And to receive all the critical praise it did? Astounding. Think about the timing of it – the novel was published in 1960 and the film released two years later in 1962. That’s a year before Martin Luther King Jr’s ‘I Have A Dream’ speech, bang smack in the middle of the African American Civil Rights Movement. 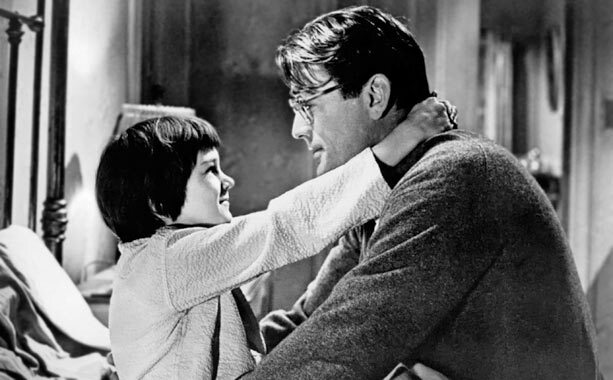 Instead of shying away from a story that had the potential to be taken as quite an aggressive left-wing stand on a difficult subject, Hollywood, and the American viewing public, chose to embrace To Kill a Mockingbird. Like many more controversial stories, To Kill a Mockingbird potentially got away with its progressive views by being set in the past. Those that took unkindly to the premise could has said ‘look it attacks the political issues going on today’ and a smart mouthed advocate of the novel/film could retaliate by claiming it was a look back on worse times, when there were even less rights, less opportunities, and even more bigotry. Seems like they were taking a leaf out of the science fiction handbook. Of course, it takes some liberties – worse in the film than the novel – of caricaturing those in the town who have the worst prejudices. But at its core, it tells an all too true tale of just how bad things were. Some of the criticism lifted against the film is its use of the naïve stereotype embodied by Atticus Finch – a white knight coming to the rescue of the defenseless black man. By modern standards, I can see how this would be considered condescending, but everything has a place within its context. There were no African American lawyers at the time the film is set, no way for Tom Robinson to escape his fate without the help of a white man. And I disagree with the critics that claim Atticus is a kind of cardboard cut out ‘good guy’. He’s principled, putting justice and truth before the prejudices flooding his town, but he’s still very much a product of his time. He is good to his black housekeeper but there is no defying of class or cultural positions within his own home. 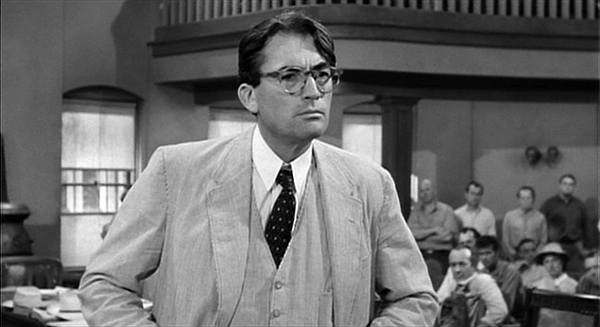 Looking at the film on its own merits, keeping the political context out of it as much as possible, there’s a lot to love about To Kill a Mockingbird. For a story that is told through the eyes of children, with child actors at the fore of most of the scenes, the acting is remarkably accomplished. 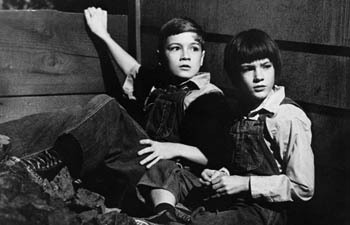 The film introduced both Mary Badham (Scout) and Phillip Alford (Jem) as its leads, while also marking the film debut of Robert Duvall (Boo Radley). 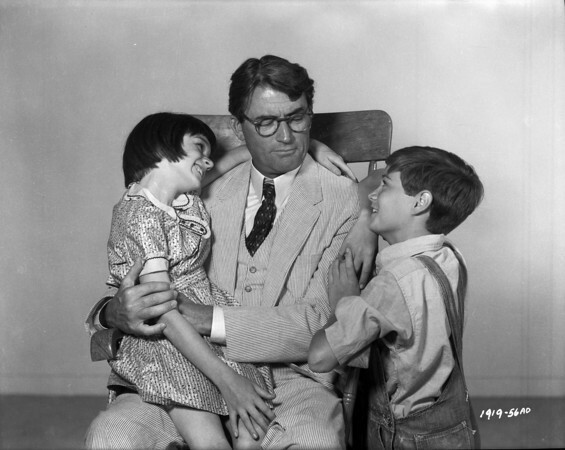 Gregory Peck finds the perfect balance between successful, hard working lawyer and loving father – the champion of civil rights whose presence in the film is limited in comparison to the two children. The story of To Kill a Mockingbird, whether experienced through the novel or the film, is well deserving of its continued presence in the public psyche. 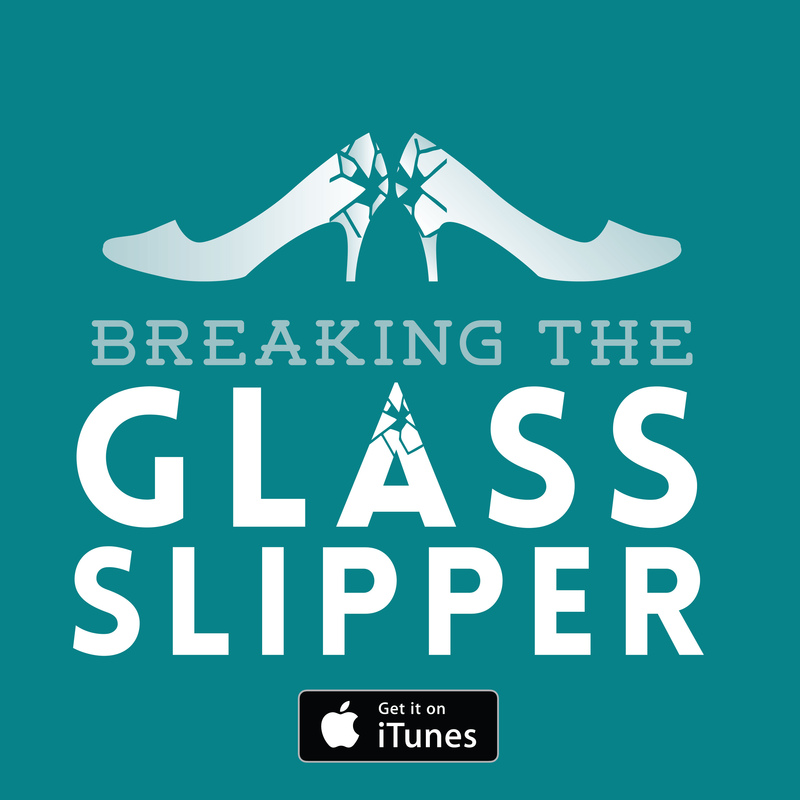 While we continue to love the story, I wonder why the message of it has not been taken on board. With more tales of police brutality in the US against African Americans and so on, do we need to remind people to go back and read Lee’s novel or watch Peck’s performance as the morally upstanding Atticus Finch? Perhaps we do. To Kill a Mockingbird should not be relegated to fond nostalgic memories, but remain a visible, widely respected story.